I know its been quite some time since this movie released in the cinema. But have you actually paid some attention to the elements inside this wonderful animation from Disney ? Yes of course, you noticed that this animation is not "Disney Pixar" but "Disney's" only. It only means one thing here: Disney can do pretty fairy tales on their own too ! And yes of course, its another "princess" movie again. But this doesnt mean that this animation is not suitable for the guys alright ? And what else ? Did you notice memorable songs ? Or at least some part of the scenes ? Actually I do. Presenting to you all the song from Tangled that I loved the most. I See the Light, performed by Mandy Moore and Zachary Levi. with lyrics below. Thanks to THIS website for the lyrics. Isnt the song feels warm ? Thank you Disney for coming out with such a nice song for the movie. Here's a short interview on both of the voice actor. 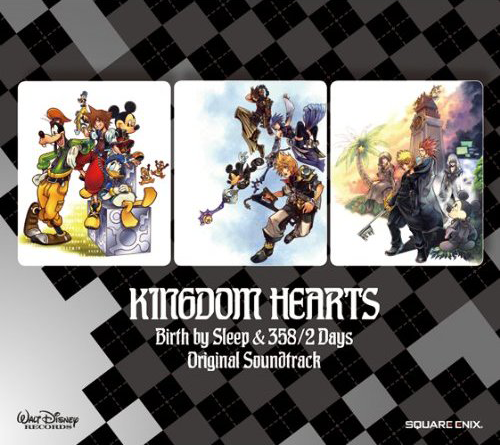 When the soundtrack released, the only tracks that I'm concern of is the one from 358/2 Days and Re:Coded and some from BBS too. Downloaded it for the whole night and waking up finding the download was complete, I was pleased and started to extract the whole file out and played them on my computer. When listening to the soundtracks from 358/2 Days, it reminds me a lot of the plot and twists thats been going on in the game. The happiness, sadness, sea salt ice-creams and sunset... Here's one song that reminds me everything in 358/2 Days. Oh yea... if you're looking for the download link, its actually on the chat box found on your right hand side (code named KH with comment "yo").